After you register and before your child starts school, you will receive a parent orientation. During this orientation, you will receive more information about our school philosophy and policies. You will also visit the classroom and experience our teaching methods, and there will be time for parent questions. All families whose child is starting during the Summer Session or the Fall Session must attend a mandatory group orientation meeting. Families enrolling during the school year will receive an individual orientation from the Administrative Director or the Director of Family Services. 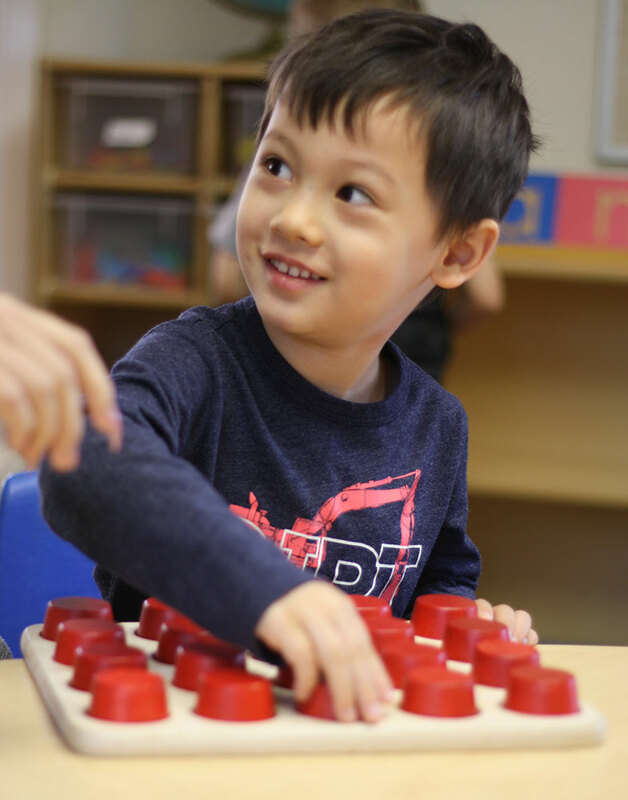 When children come into school, they are acquainted with the etiquette of classroom behavior, the structure of the day, and the order of the Montessori environment. Children learn they have many opportunities for free choice during their day, but they must follow the structure of the classroom. Children are shown how to work at the table or how to get a rug and work on the floor. They are shown the proper way to carry a pencil and scissors and how to take materials from the shelf and return them to the same place. Children learn that they may move around but they must first put away their activity. They may work alone or in groups and they may choose any job they want, but they may not choose not to work at all. Children also learn how to be a friend and how we treat our friends with kindness. They are taught to respect each other and their teachers and to care for all living things with reverence.